Daniel Acker/Bloomberg via Getty ImagesBillionaire Seth Klarman. Among the tattered cookbooks and celebrity biographies at thrift stores and yard sales, you might find financial books whose advice on investing once seemed relevant but now just seems silly. However, the next time you find yourself in this situation, take a closer look, because you might also find the Holy Grail of investment books. Boom and bust cycles in the economy and the stock market often give rise to short-sighted investing theories which financial writers try to exploit. Perhaps the best example is "Dow 36,000," written by Harvard-educated journalist James K. Glassman in 1999 at the height of the dot-com bubble, which predicted a 300 percent rise in the market within 10 years. It is very rare to find an investing book that stands the test of time, and perhaps the rarest of the rare in that category is "Margin of Safety," written in 1991 by billionaire investor Seth Klarman. Long out of print, less than 5,000 copies of this hardback book exist, and used copies regularly go for $2,500 or more online. Investors adopt many different approaches that offer little or no real prospect of long-term success and considerable chance of substantial economic loss. Many are not coherent investment programs at all but instead resemble speculation or outright gambling. Investors are frequently lured by the prospect of quick and easy gain and fall victim to the many fads of Wall Street. My goals in writing this book are twofold. In the first section I identify many of the pitfalls that face investors. By highlighting where so many go wrong, I hope to help investors learn to avoid these losing strategies. For the remainder of the book I recommend one particular path for investors to follow -- a value-investment philosophy. If you think that some of this sounds familiar, you might be right. Klarman, 56, is often called the "Warren Buffett of his generation," and Buffett is said to have a copy of "Margin of Safety" on his desk. But the connection between Klarman and Buffett doesn't stop there. Both run multibillion-dollar funds; both use the concepts pioneered by legendary value investor Benjamin Graham when evaluating their investment portfolios; and Klarman's name has long been floated by Berkshire Hathaway shareholders as a potential successor to the Oracle of Omaha. 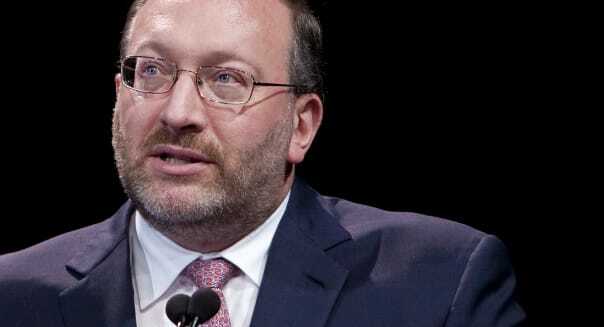 %VIRTUAL-article-sponsoredlinks%Klarman has had an impressive financial career which, unlike Buffett's, has largely gone unnoticed by the public and financial media. A product of Cornell and Harvard, where future CEOs, GE's (GE) Jeff Immelt and Jamie Dimon of JPMorgan Chase (JPM), were among his classmates, Klarman initially worked for Franklin Templeton Funds before starting Baupost Group in 1982. Baupost manages more than $25 billion in client funds and has an astounding performance record, averaging 20 percent annual returns since its inception. Numbers like that consistently rank Klarman in the top 25 highest-earning fund managers by Forbes, with his total compensation for 2013 coming in at $350 million and net worth estimated to be $1.3 billion. How much of that net worth is comprised of unsold copies of "Margin of Safety" is unknown, but fortunately, you don't have to have big bucks in order to read it, as it's available online in PDF version for free.